Thanks largely to the fact that GPS tracking devices have grown so powerful and so affordable, they’re a surprisingly common part of our daily lives. There are many totally legitimate reasons for people to use them — like if the manager of a business was trying to gain better insight into their fleet of drivers, or if a parent wanted to monitor the driving habits of their teenage son or daughter. There are also, sadly, a variety of illegitimate uses too. 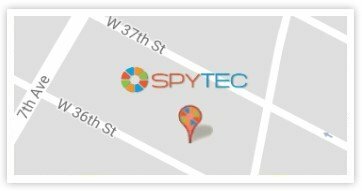 If someone wanted to spy on you by installing a GPS tracking device on your car to watch your every move, there is little that can be done to stop them. What you can control, however, is how long you let this go on before you put a stop to it. It’s just as easy to find and remove a hidden GPS tracking device on your vehicle as it is to install one in the first place. All it requires is for you to know a bit more about the locations that these trackers are most likely to be in to begin with. In fact, if you were 100% sure that someone installed a tracker on your car, you could probably find it in just a couple of minutes with little more than a flashlight if you really knew where to begin your hunt. While it’s certainly true that the front bumper is a less-than-ideal location for a hidden GPS tracking device (as it often houses a great deal of wiring for things like your car’s lighting system, the temperature sensor and more), it isn’t impossible to install such an item in this location and, as a result, should be one of the first places you check. Unfortunately, this also brings with it a bit of bad news — because this area tends to be on the “complicated” side, you probably can’t check for a GPS tracking device here yourself. Even if you have the skill necessary to pull such a critical component of your car apart and put it back together again, you likely don’t have the equipment needed to do so. Because of that, you’re probably going to want to call your trusted mechanic to make sure the job gets done properly. Once you do pull apart your front bumper, look for a little black device (or a series of wires) that don’t belong. If someone installs a GPS tracking device here, it’s probably connected to the power supply on your car — which means that it can transmit for a very long time from nearly any location. Although this is the location that DEA Agent/Brother-in-Law Hank used to track criminal mastermind Walter White on the hit AMC show “Breaking Bad,” this is another one of those locations for a hidden GPS tracking device that isn’t really that popular for a variety of different reasons. For starters, it’s very easy to spot something that has been covertly installed in a wheel well — your brakes should be the only thing back there and anything else will very clearly not belong. Secondly, because this area is located on the outside of your car, there’s a lot that could go wrong, and the device itself could easily become damaged or lost. Having said that, if you do suspect that you’re being tracked without your permission or knowledge, you’ll still want to check all four-wheel wells of your vehicle. Get down on your knees, get out your trusty flashlight and be on the lookout for anything resembling a tiny box, a cylinder or something that just looks out of place. Again, your brakes should be the ONLY item behind the wheels. Anything else that you find will likely be worth a closer look. This is a very similar situation to your front bumper and is not the world’s best place to install a hidden GPS tracking device for a variety of reasons. Again, your rear bumper houses a lot of important wires for your vehicle’s electrical systems — mostly those that handle your lights and the other external sensors that your car’s computer uses to help you out while you’re driving. To complicate matters a bit further, if your car has a rear backup camera (and if it was purchased within the last few years, it probably does), there will be additional cables devoted to that unit in this location as well. Once again, you’re likely going to want to call your local mechanic to help you out if you really suspect a hidden GPS device may be in your rear bumper. If you do decide to proceed on your own, get out your car’s instruction manual and take a look at the wiring diagrams. Compare the manual to what you’re seeing and look for something that was clearly added after the fact. But do not, under any circumstances, remove any wires unless you’re absolutely sure you know what they do. Making the wrong move at this stage of the game could result in a car that you won’t be able to use for quite a while. This is one of those places that presents something of a mixed bag for people who are trying to track your every move. On the one hand, hiding a GPS tracking device under someone’s dashboard is tricky because you need physical access to the inside of the car in order to do it. Once you’ve got that taken care of, however, it’s actually the perfect location for such a hidden device because A) it’s already filled with so many different wires and components that it can be hard to keep track of it all, and B) people rarely take a closer look at this part of their car in the first place. In order to be absolutely sure that nobody has installed a hidden GPS tracking device in this area, remember the fact that all of the wires you see should be tied together in groups. If you see a wire or cable that is completely separate from everything else, doesn’t match the existing color scheme of all the other wires or just looks like it doesn’t belong, you may be onto something that is worth a closer look. If you’re the type of person who often forgets that you even have a glove compartment in the first place, you may be looking at one of the most common places that a GPS tracking device might be hidden on your car. Again, this is a tricky one because it requires physical access to the vehicle’s interior, but provided that someone can achieve that, they can hide a GPS device easily without you noticing. Take a look inside your glove compartment or any other storage area within your vehicle. Look for small devices that almost look like television remote controls and be very wary of any component that you can’t remember placing yourself. If yours is the type of car that has a sunroof, a moonroof or is a convertible of some type, unfortunately, it also offers a wide range of additional places to potentially hide a GPS tracking device. Remove any and all covers that are designed to protect these areas and take a look around for strange wires. While you’re at it, be sure to check under your car’s carpets, beneath the floor mats, under and in between your seats, and in similar areas. On the exterior car, be sure to closely examine your vehicle’s undercarriage. Use a flashlight to peer into ALL inaccessible areas of your car’s frame. As you do so, remember that a GPS tracking device probably won’t be able to transmit data (at least not in any reliable way) if it is covered by thick metals. The antenna needs a clear, unobstructed way to send and receive computer signals. Thankfully, this means that you can write off certain areas right away. Any GPS device hidden on the undercarriage of your car will probably need to be near the edges, so look there first. If at any point you find a strange wire that you can’t quite explain, be sure to carefully trace it back to its source. But above all else, be very careful. Don’t force anything out of your vehicle if you’re not 100% sure of your actions because you could ruin parts of your car before you know it. Modern-day cars are heavily computerized and are very, very expensive to repair. There is nothing worse than tearing apart your car, breaking something and causing hundreds of dollars in needless mechanic bills and STILL not finding what you’re looking for.